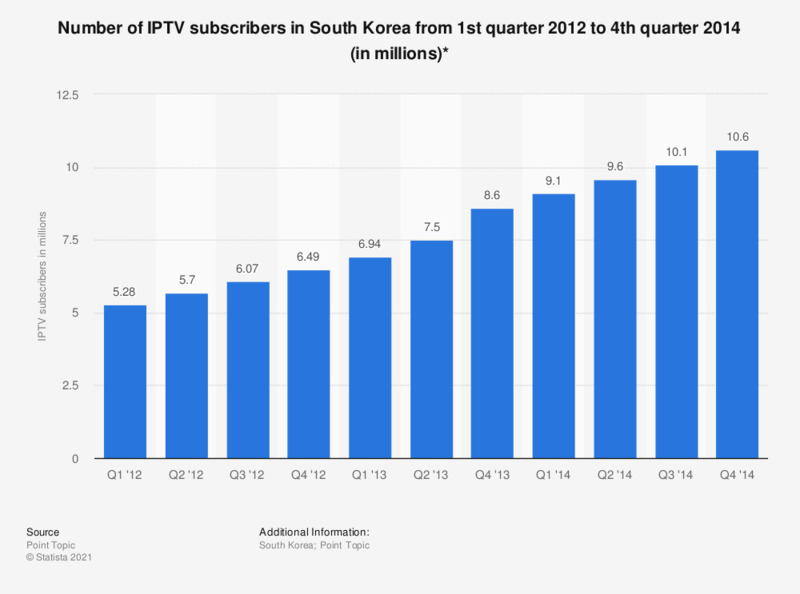 The statistic depicts the number of IPTV subscriptions in South Korea from the first quarter of 2012 to the fourth quarter of 2014. In the fourth quarter of 2013, there were 8.6 million IPTV subscribers in South Korea. * The source did not provide data for the third quarter of 2013.